There’s so much life yet to be enjoyed. That’s why you shouldn’t have to choose between the lifestyle you want and what your budget will allow. At Boardwalk Apartments, you don’t have to. 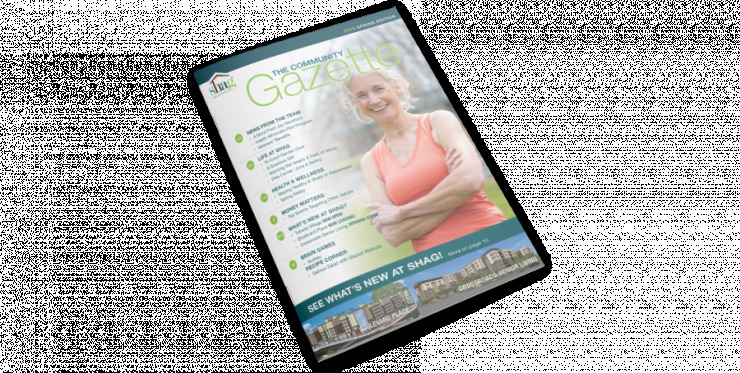 As a Neighborhood community by SHAG, we make living well attainable. SHAG is passionate about creating affordable senior housing. We’ve served the Puget Sound region for nearly three decades because we believe every senior deserves a safe, welcoming home that offers an active lifestyle in a community of friends. See how senior living comes to life at Boardwalk Apartments. From charming courtyards and lovely common areas to an array of activities, we’ve created a community where seniors can enjoy new opportunities, new friendships and a renewed zest for living. We know animals are an important part of your family and that they offer numerous health and wellness benefits. But it’s their unwavering companionship that makes them such a welcome addition to SHAG Boardwalk Apartments. And perhaps even some of the most popular faces in our senior living community. At Boardwalk Apartments, you can live well and stay within budget. 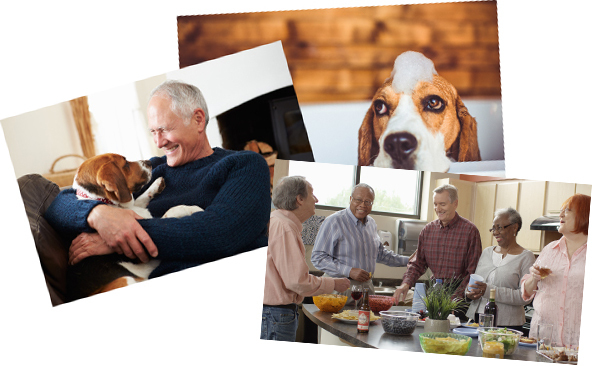 Our affordable senior living options help you say goodbye to budget worries and say hello to the things you want to do, the things that make you happy. Each of our one and two-bedroom apartment homes include comfortable amenities with the conveniences you deserve. You’ve got a lot of life to live and we want to help you do just that. Think of Boardwalk Apartments as your upside to downsizing – a home where you’ll find less stress, more freedom, more friends and more time to enjoy defying expectations. An active lifestyle in the center of it all, that’s what you’ll find at Boardwalk Apartments in downtown Olympia near West Bay.With views of Puget Sound and downtown Olympia as our beautiful backdrop, Boardwalk’s location is beyond compare. Located two blocks from Percival Landing Park and its vibrant boardwalk where you can enjoy a host of social gatherings and events. Our community is close to shopping, medical facilities, parks, restaurants and all the services you need. Call (360) 464-9757 today to schedule a tour and experience affordable senior living the way it was meant to be.